Product Name: New Design Navigation system, all in one. If your car currently outfits a Double-DIN space,not to fear,the all-new,Valor premier Double-DIN Mobile Multimedia with Navigation is here! 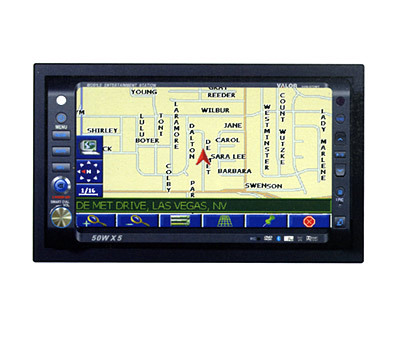 Check out the 6.5" Widescreen display for your viewing enjoyment.Control your menus using Touch panel with a simple touch of your finger!Enjoy playback of AM/FM,DVD, audio, VCD,MPEG4 video,TV with the built-in TV Tuner and MP3 formats. and rear seats, all controlled with a dedicated rear zone IR wireless remote control. The NAV-1 is built-in to the NVG-670WT for voice prompted touch screen navigation right out of the box! Add Satellite Radio, iPod control, Bluetooth Cell Phone Integration. Top it off with a built-in Dolby Digital surround sound processor for a full mobile multimedia entertainment system!